Washington Juniors Burst on the Scene at Junior Nationals! Fourteen players from Washington State joined approximately 230 juniors from across the U.S. in some great competition at Nationals in Concord, California June 25-29. Our state juniors made all of us proud – not only with their level of play, but their sportsmanship and conduct. What a great group! Jake Birnel: 1st in Boys 10 singles and 1st in Boys 10 doubles – Both Gold Divisions. Jordon Birnel: 2nd in Boys 8 Single Bounce Red, and 3rd in Boys 8 Multi Bounce Red. Nick Birnel: 1st in Boys 6 Multi Bounce White Division, 4th in Boys 8 Multi Bounce. Madeline Butler: 2nd in Girls 12 White, and 2nd in Girls 12 Doubles Gold Division. Brenna Guthrie: 4th in Girls 10 Red Division. Jett Guthrie: 3rd in Boys 6 Multi Bounce Gold Division. Paige Guthrie: 4th in Girls 8 Multi Bounce Gold. Triston Gutrhie: Quarters of Boys 14 and Quarters of Mixed 14 with Madeline Butler. Brianna Ho: 4th in Girls 16 Gold, 1st in Mixed 18 Consolations with Tim Ho. Tim Ho: 3rd in Boys 18 Red, 1st in Mixed 18 Consolation with sister Brianna and 1st in Boys 18 Doubles with Sean Taylor. Jack Kulju: Quarters of Boys 10, and 5th in Boys 10 Doubles with Ryan Penders. Ryan Penders: Quarters of Boys 10, 5th in Boys 10 Doubles, and 2nd in Mixed 10 Consolations with Hollie Scott. Hollie Scott: 3rd in Girls 10 Red, 3rd in Girls 10 Doubles Gold Division, and 2nd in 10 Mixed Consolations with Ryan Penders. Sean Taylor: Lost in the Quarters of 18 Gold to Danny Lavely(2nd place finisher), 1st in Boys 18 Consolation Doubles with Tim Ho. The team from Washington received Team T shirts from Fran Davis, Team bandanas from the Guthrie family and a practice ball from coach Wanda Collins at a team meeting held on Tuesday night before the competition. Washington was the 4th largest contingency from any state, beaten only by California, Oregon and Ohio. 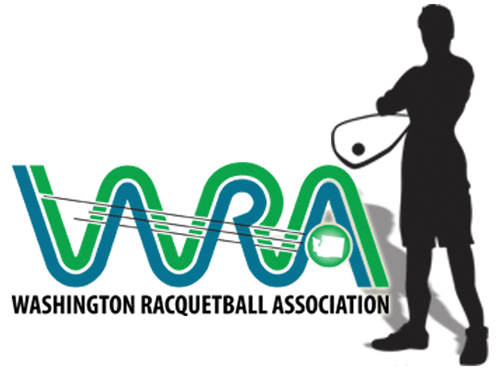 Thanks to all of the parents who got their kids there, to all of the WRA members who have contributed and/or bought auction items at junior fundraisers, and to everyone out there who takes the time to encourage a junior to play and gets them on the courts! The Junior Committee is shooting to get a large contingency to Junior Regionals in Portland, Oregon in May 2009. Junior Nationals will be held in Lansing Michigan in June of 2009.